We can’t escape the pressure to constantly keep up with trends and styles. I’m an Instagram fashion addict through and through – always influenced by those fabulous girls online whose wardrobes are just to die for. The fact that you can simply just click a link in a brands bio and you’re directly brought onto their insta shop page is all too tempting! We are constantly influenced to shop, gone are the days when window shopping was on a trip into town. The temptation is always there. I often find myself stressing out that I’m not keeping up with my fellow insta fashionista’s when I don’t buy something new. It’s an undoubtable craving to buy. Don’t get me wrong, I love Instagram and I always find the most amazing fashion inspo BUT, I hate the pressure that goes along with it. Take for example the leopard print trend, I had a need to buy leopard print having seen so much of it styled on Instagram. Social media is amazing – you can do with it what you want and ultimately, show the life you want others to see, that includes your wardrobe. However, I think it’s important to take a step back from it. Like most of us out there, I am a student/graduate and I sure as hell do not have the bank account to keep with up some of my favourite fashion influencers. I think we need to focus on what we do have and not get carried away with Insta! Recycle your wardrobe pieces, bring that long last denim jacket to the front of your wardrobe and rewear, rewear, rewear! Who cares if it’s already featured on your feed, if it’s a great piece and makes you feel good, wear it. Take this dress for example, I wore it for the Blog Awards last week but I’m already featuring it in a blog post, posting images in it on Instagram, and I plan on wearing it to future events too because, I just love it. I’ve also featured these knee high boots lately on my blog and Instagram. It’s all about balance and accepting that you are beautiful, whether you’re wearing something new or old. To beat the pressure of Instagram, I will be re-wearing little gems like these time and time again. 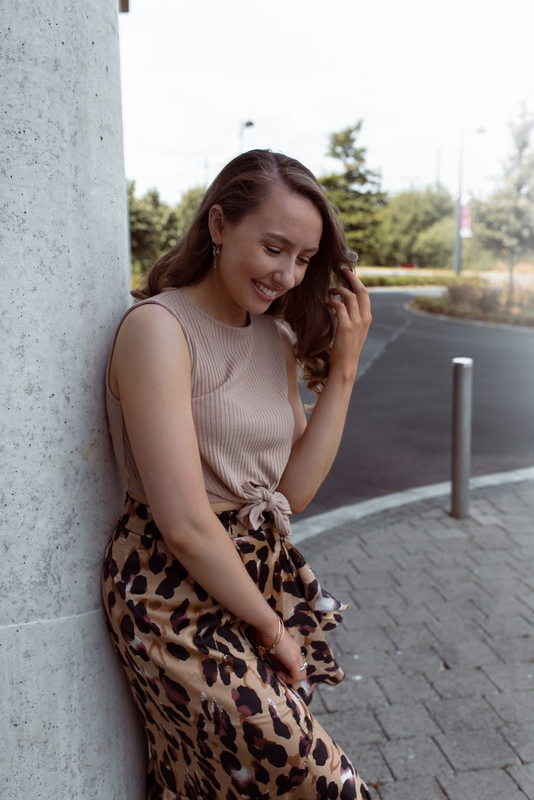 So basically, for anyone feeling the pressure to constantly buy and keep your wardrobe up to date… take a step back, restyle your favourite pieces, learn to style them up different and re-discover those long lost pieces thrown in the back of your wardrobe.